Judy Ann Santos and Ryan Agoncillo’s son Lucho is already practicing his cooking skill at an early age of seven. 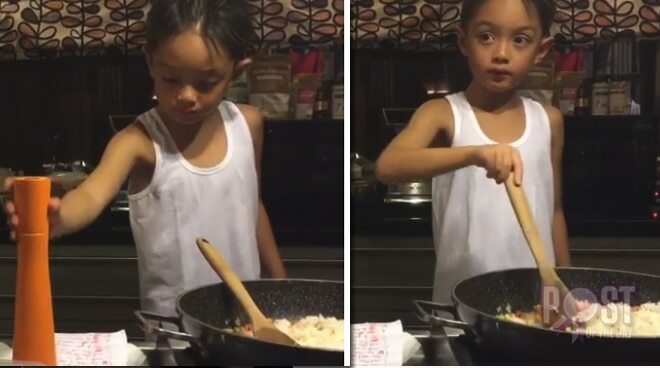 In an Instagram video posted by Ryan, Lucho is seen cooking fried rice under the supervision of mommy Juday. He was even following a recipe and putting all the ingredients together by himself.